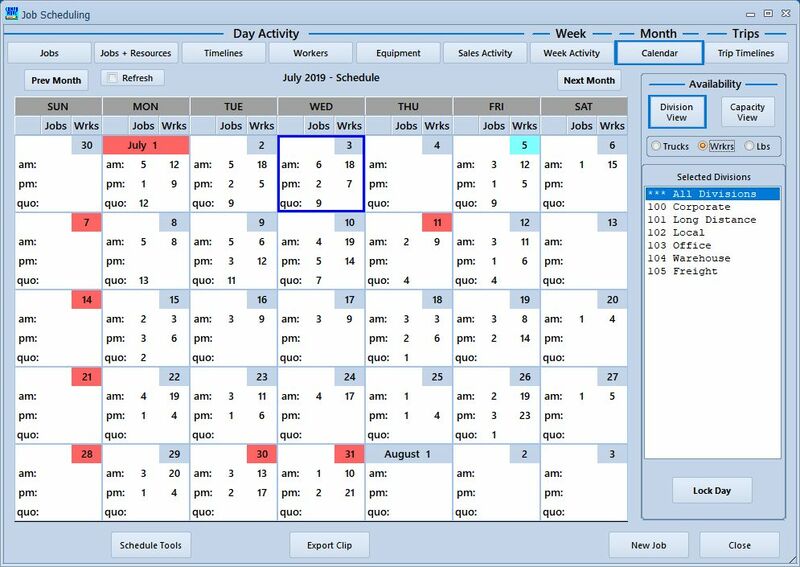 The monthly calendar view shows a summary of the month, including numbers of jobs, workers needed, quotes scheduled, and any blocked days. 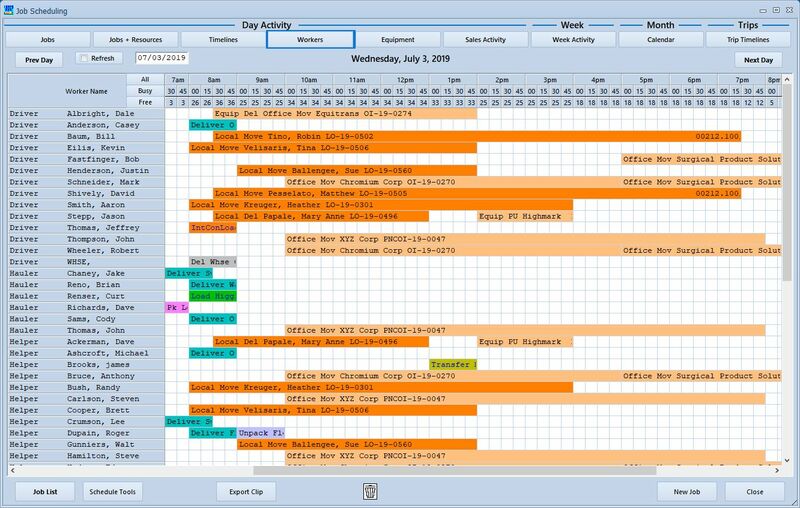 The daily timelines show each job in time order, with detail on the job type, start time and duration, and number of workers needed. Worker and equipment assignments can be viewed or changed as the need arises. The worker dispatch screen is used to assign personnel to jobs. 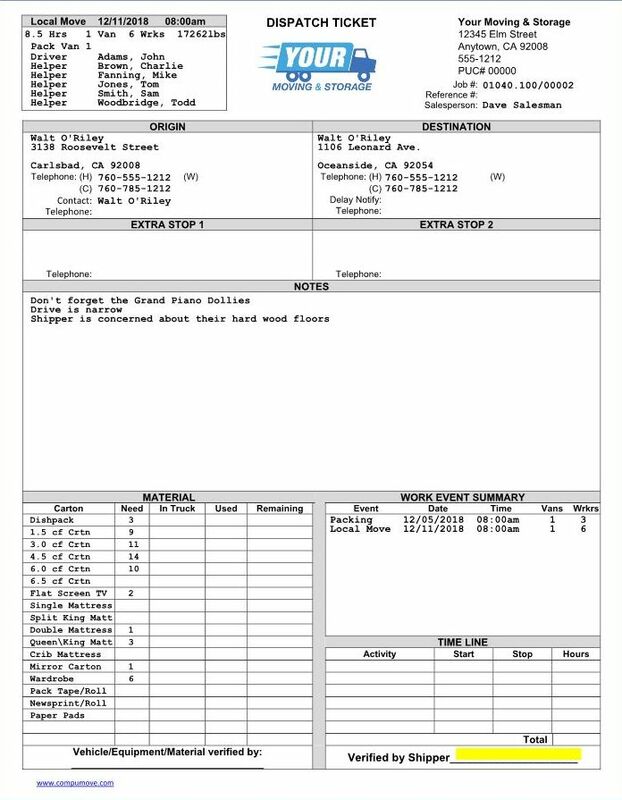 The job dispatch ticket is available in a variety of formats; this is a typical local move ticket. 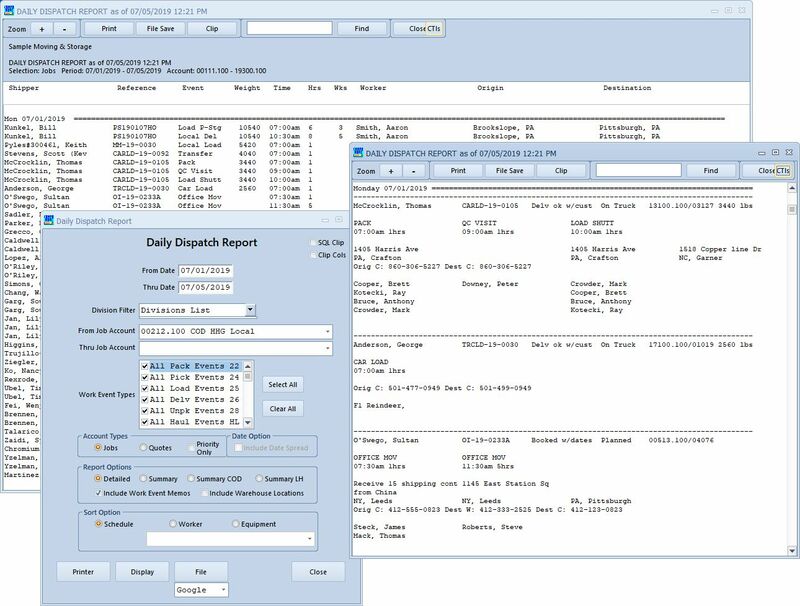 The daily dispatch report shows job and worker assignments, and can be printed with different levels of detail. Using popular internet mapping, CompuMove gives 1-click access to location or multi-stop trip maps. 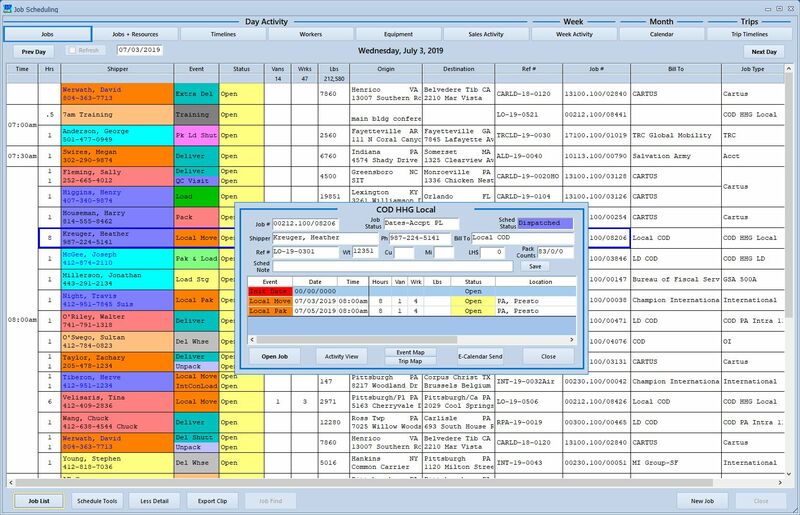 The trip scheduler allows job selection based on date, location, weight and cube, and drag-and-drop assignment to drivers. It shows running totals for weight and cubes for the duration of a trip, and allows multiple stops or other work events. This screen is optimized for use on very large multi-display monitor configurations to allow at-a-glance use of forward dates.